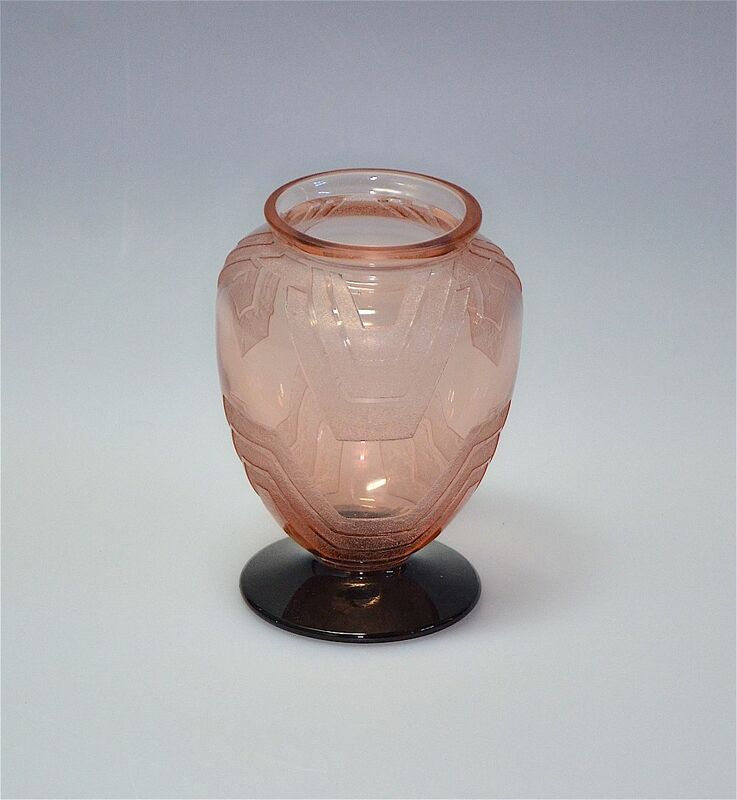 This lovely small vase was made during the Art Deco period by the French company Schneider. The round domed deep pink foot supports a pink bulbous vase that is acid etched with a geometric pattern. A very attractive piece that would look well with some of the other Schneider pieces on the site. 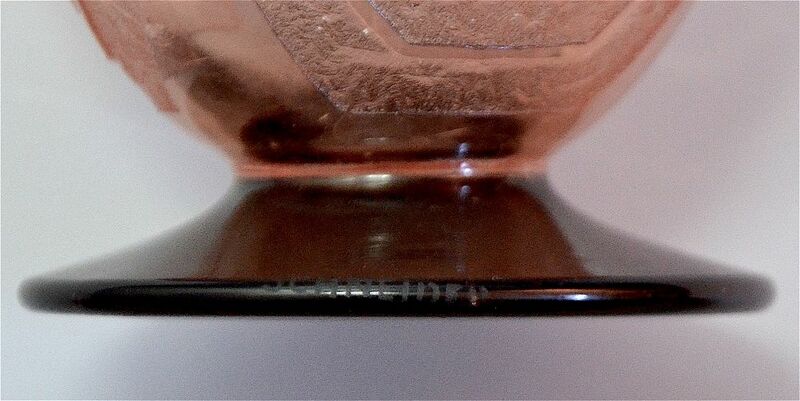 The edge of the foot is marked "Schenider".